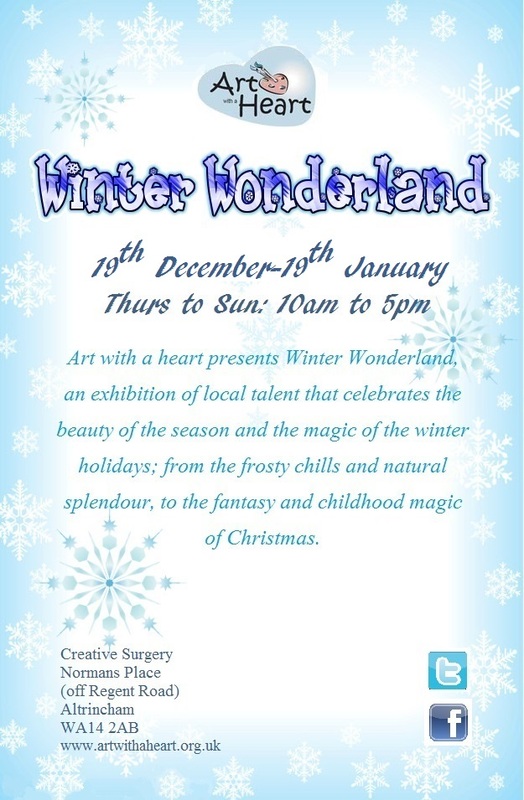 Winter Wonderland was an exhibition that celebrated the beauty of the season and the magic of the winter holidays. 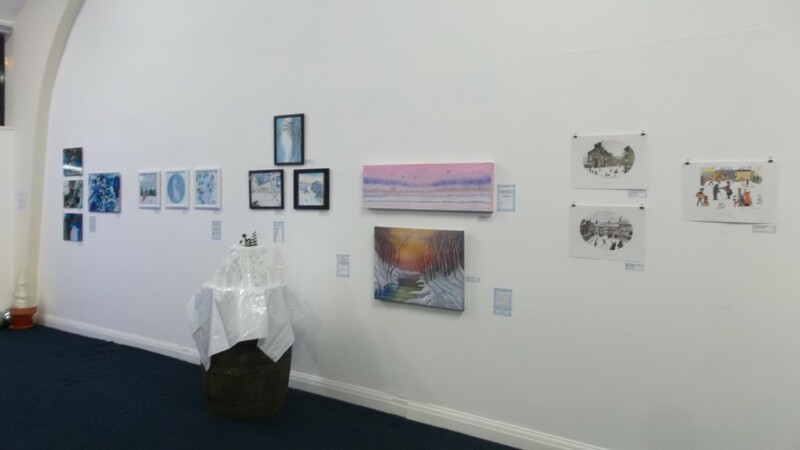 The exhibition was an open call to any artist working in any medium apart from video or performance art to create interpretations of the theme of ‘Winter’; from the frosty chills and natural splendour, to the fantasy and childhood magic of Christmas and even work relating to the community spirit that arises at this time of year. Our Internal display showcased the festive season whereas our external display at New Look had a more sober feel, contrasting the beauty of Winter with the harsh reality that affects those less fortunate at this time of year such as the Homeless community and to prompt people to spare a thought for them whilst they spend their money in the shopping centre.